Rediff.com » Business » Why is Harsh Mariwala getting into aquatherapy? 'Water is known for its buoyancy which reduces pressure on joints. So, you can exercise effectively underwater, provided you have the right experts guiding you,' Harsh Mariwala tells Viveat Susan Pinto. A long corridor leads to Harsh Mariwala's eighth-floor office in Santacruz, the Mumbai suburban headquarters of Marico. Mariwala, 67, loves open spaces and his office bears this out. Apart from a formal front door for visitors, a second door, made of glass, allows his team access to his office. There is also a third side door, which opens onto a beautiful terrace garden that gives Mariwala a full view of the Mumbai skyline. It is a space he retires to, a sort of sanctuary, especially if he is working on a new venture as he is now. Mariwala's latest project -- and he's had many -- is AquaCentric Therapy, a physiotherapy centre located an hour's drive from his office. With its swanky interiors tastefully done up in soft shades, it stands in stark contrast to the dust and grime of its neighbourhood, the Mumbai suburb of Andheri. The 7,000 square feet ground floor facility, with three indoor pools, a gymnasium and an activity garden, has seen Mariwala partner with his physiotherapist, Amit Kohli, who had proposed the idea of an aqua centre some two years ago. The centre comes with therapeutic pools that have underwater treadmills, pool bikes and resistance jets for those wanting to indulge in aquatic exercises. Live monitors indicate the sanitisation levels of the water. The pH levels, too, are displayed in real-time to help maintain optimality and transparency. "Hardly any aqua centres exist in India though they are popular abroad," says Mariwala, a fitness freak and golf enthusiast who keeps himself abreast of the latest developments in health care. "Water is known for its buoyancy which reduces pressure on joints. So, you can exercise effectively underwater, provided, of course, you have the right experts guiding you," he says, enthusiastically explaining, "If the water temperature is regulated well, it can reduce pain and relax the muscles. And turbulence can help improve body balance and core stability." A study by the International Journal of Sports Medicine says that water is almost 800 times denser than air and that its cushioning effect provides both resistance and relaxation of the kind not found when exercising on land. Resistance also helps in strengthening and toning muscles, improving general health and fitness, the study adds. 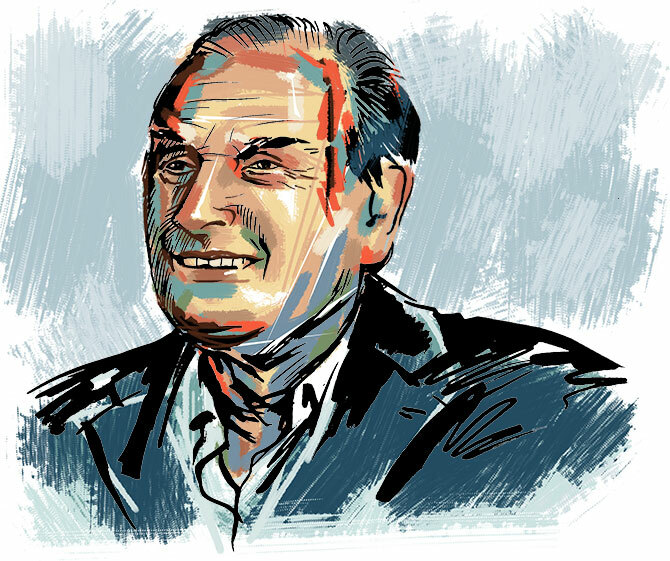 For Mariwala, the man behind successful brands, such as Parachute, Saffola and the Kaya chain of beauty clinics, dabbling in health and wellness is not new. Among the few Indian entrepreneurs who recognise the importance of mental health, he started the Mariwala Health Initiative along with his daughter Rajvi in 2017, committing funds to mental health issues in India. Earlier, he had put his personal wealth into iCALL (Initiating Concern for All), a psychosocial helpline operating out of the Tata Institute of Social Sciences, Mumbai. So, it is not surprising, says Kohli, that Mariwala accompanied him to aqua centres in Europe and the US to understand how the aqua-based therapy works before choosing to incubate the venture. Setting up an aqua centre costs Rs 40 million to Rs 50 million, given the high level of expertise and skill required to run an initiative such as this. The Andheri centre is the first of the four planned in Mumbai. The second will come up in Worli by November, the third in Powai and the fourth will open its doors in Thane next year. "The plan is to have 20 to 25 centres in the next four to five years in top metros such as Bengaluru, Chennai, Hyderabad and Delhi," says Mariwala whose net worth is $2.4 billion, according to Forbes. AquaCentric will provide services in four areas: Orthopaedic, which relates to spine care, pre- and post-operative rehabilitation, fractures, muscle and ligament injuries as well as bone-related issues such as arthritis and spondylosis; neurology for problems related to stroke management, motor neuron disease, brain and spinal cord injuries; women’s health care; and childcare. The Andheri facility, which opened in May, has a 10-member staff including a neurologist, a paediatrician and a gynaecologist who are trained in aquatic therapy and rehabilitation. Two other members of the Mariwala family are also involved in the project. The funds have come from Sharrp Ventures, the Mariwala family office that is run by his son Rishabh. The centre's look-and-feel has been planned by Mariwala's wife, Archana. The reception and pool areas are in shades of blue in keeping with the aquatic concept while the paediatric room is done up in bright yellow, green, orange and pink. A 2016 report Value Added Service – Wellness and Preventive Healthcare by the Federation of Indian Chambers of Commerce and Industry and EY consulting estimates that the domestic wellness market will touch around Rs 1.5 trillion by financial year 2020, as compared to around Rs 850 to Rs 900 billion now. The market, adds the report, is growing at a compounded annual growth rate of 12 to 15 per cent. While beauty and nutritional care will retain their share within the wellness market, the fitness and rejuvenation segment will increase its share significantly, the report adds. This is where ventures such as Mariwala's, which are aimed at people with higher disposable incomes who believe in better health care services, fit in. Mariwala says he has kept the charges reasonable: A one-time consultancy, for instance, costs about Rs 1,500, with therapy sessions costing between Rs 1,000 and Rs 2,000 per sitting. The centre offers various packages and also creates curated therapies for individuals as well as groups. While rehabilitation is at the heart of what AquaCentric does, it is also open to those wanting to stay fit with aqua therapy. Since it opened, the centre has got business worth around Rs 900,000 per month. "So far, we have largely relied on word of mouth and the curiosity of people wanting to understand aqua therapy," says Kohli. "As more people understand what it is all about, I see the business growing." The biggest challenge to the business could, however, come from neighbourhood pools that might also start providing aqua-based therapies in the future. "I have seen this once before when I began Kaya," says Mariwala. "The concept of affordable skin services provided by qualified dermatologists didn't exist in India over a decade-and-a-half ago. We pioneered that concept and targeted a felt need among middle-income Indians." But then, a number of dermatologists, after working with Kaya, branched off on their own. That, in turn, only expanded the market further for such expert services. "I see the same thing happening with aqua therapy," says Mariwala. This, however, doesn't bother Mariwala much. Taking on challenges -- and competition (as he has done in the past with Hindustan Unilever, Godrej Consumer Products, Dabur India and Emami) -- has been part of the game ever since he entered the world of business. It is this drive that has helped him expand to 25 countries. He might have pulled out of executive responsibilities at Marico -- he stepped down as managing director in 2014 -- but he is far from retired. AquaCentric Therapy is just another testament to this.